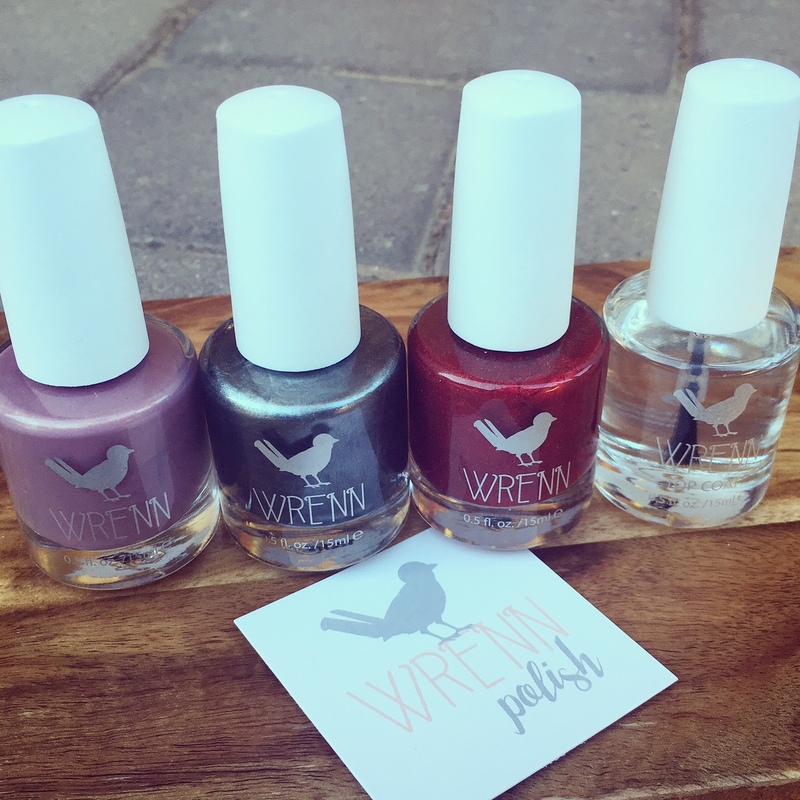 Shop Wrenn – Wrenn Polish: Being a girl mom, I spend a lot of time painting nails. I would say it is one of my favorite perks about raising girls; sharing my love for girly things. I love watching my daughter select her nail polish out my collection and then proceed to explain to me why she has chosen her particular color; it is so fun to see her little mind explore. 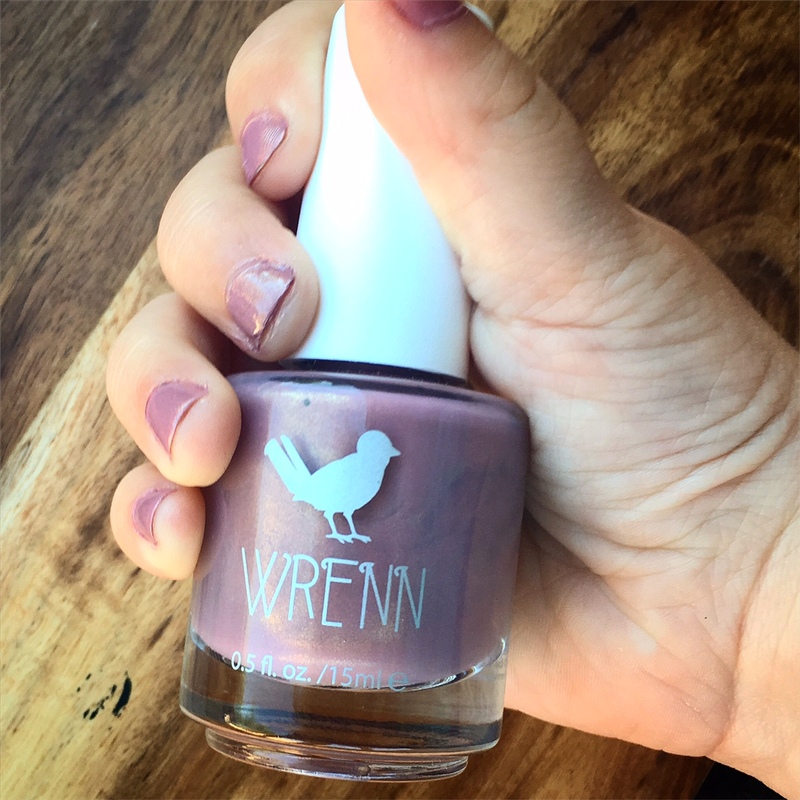 There is one brand that I love using on her nails and that is… Wrenn Polish. 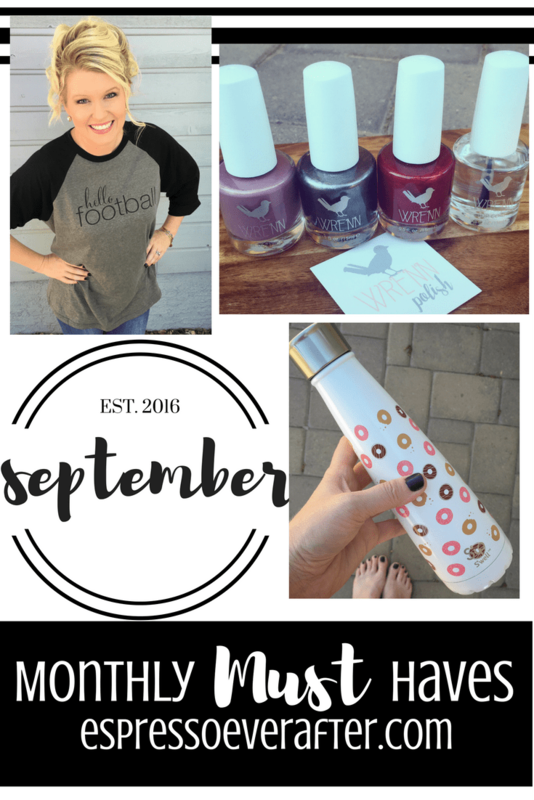 It is a unique line of nail polish that is 5-free, cruelty free vegan nailpolish. If you are wondering what 5-free is, it means that the polish is made WITHOUT five very harmful toxic chemicals: Toluene, Dibutyl Phthalate (DBP), Formaldehyde, Formaldehyde Resin and Camphor. How great is that?! I love that I can trust this product and that it still comes in amazing shimmery colors. Both my daughter and I adore the color options so much that we are slowly accumulating their whole collection! My daughter’s favorite is the shimmery “Passionfruit Pink” and I love “To Infinity” (both pictured below). So next time you go to buy a polish, look at the ingredients, or just shop Wrenn Polish and trust and love your nails! 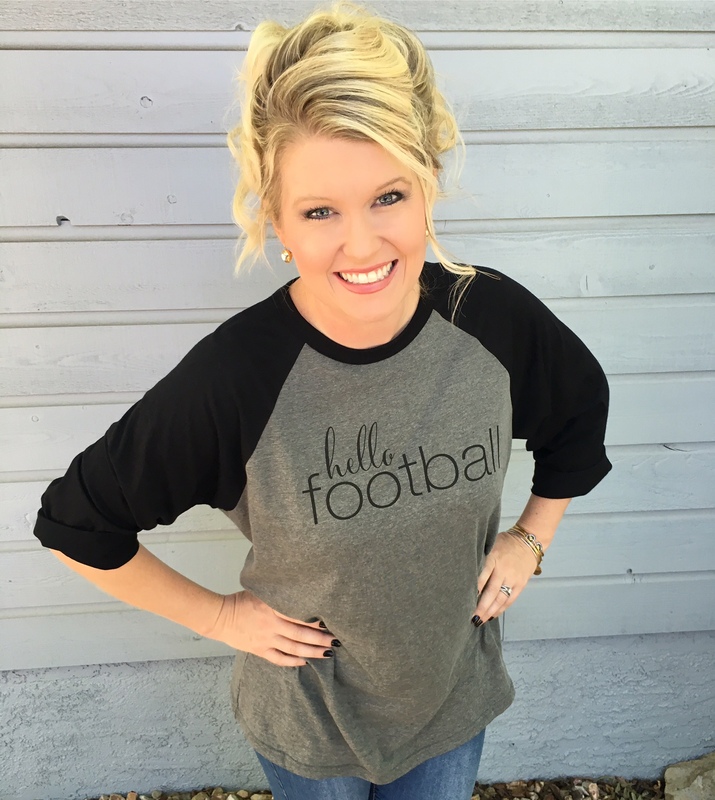 Ruby Claire Boutique – Football Raglan: Not only does September bring fall, but it also brings cooler weather and my favorite sport to watch… FOOTBALL! 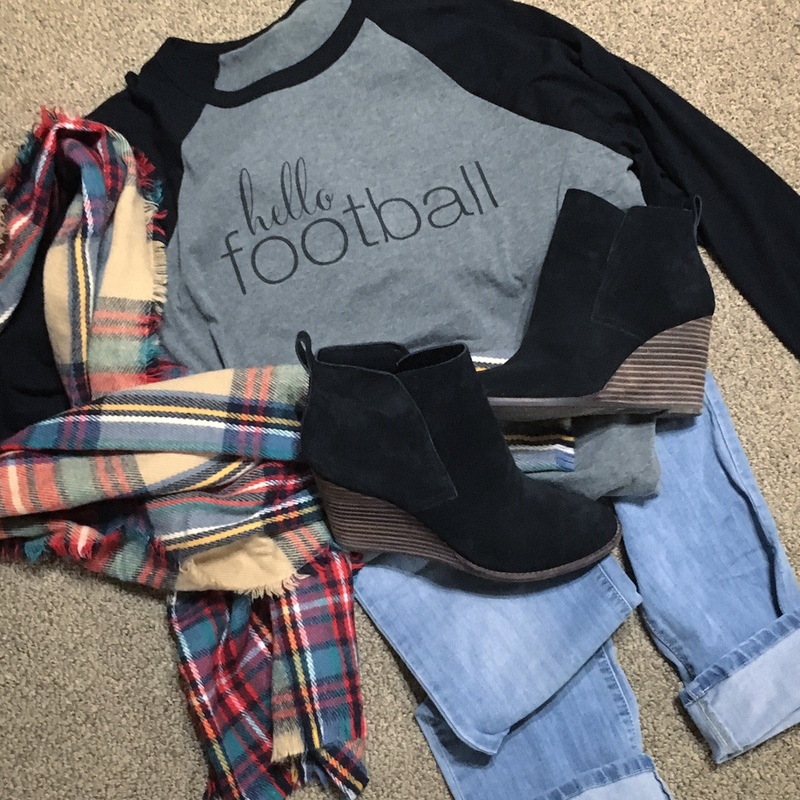 I found this fabulous football raglan tee at one of my favorite online shops, Ruby Claire Boutique. But be prepared, this shop is fabulous and be ready to fall in love with everything. Since football season has begun, I have worn this shirt just about every weekend. It is comfortable and cute and is absolutely perfect for cozying up on the couch for a good game. Click HERE to see how I have styled it. S’ip By S’well – Waterbottles: I carry water with me AT ALL TIMES. I literally panic if I don’t have a bottle in my hand or in my bag, which is why having the right bottle is so important to me. I recently tried the 15oz S’ip by S’well bottles and have fallen in love with them. Not only do they offer adorable patterns, but they seal tightly so they don’t leak. I can literally toss it in my diaper bag before we run out the door and trust that it won’t spill. They are made with double-walled, food-grade stainless steel, so they keep my water chilly for up to 24 hours or a hot drink hot for 12 hours! 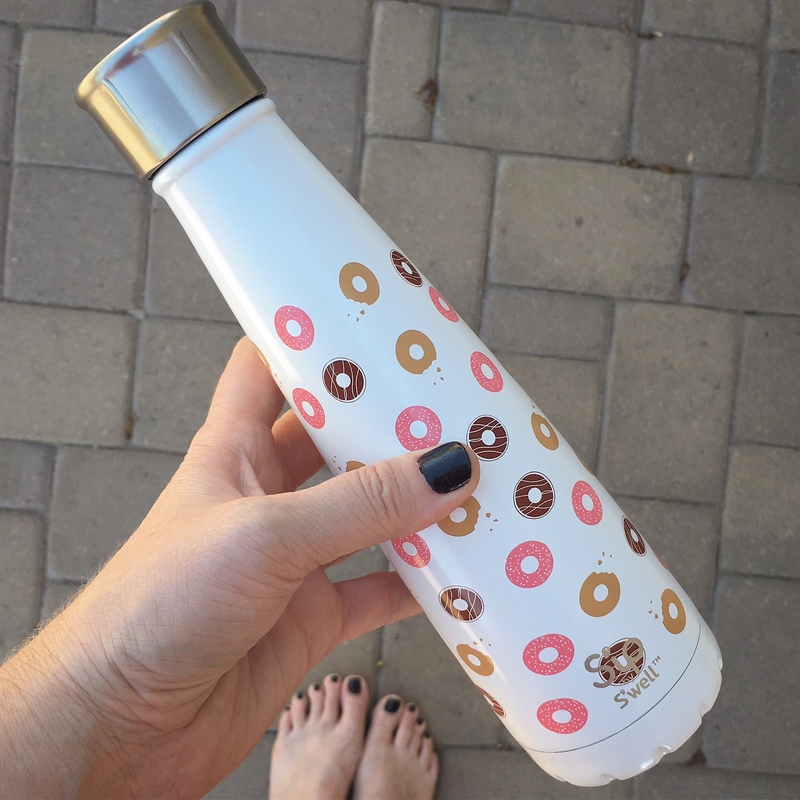 My favorite pattern right now is of course the donut pattern, found HERE. Or you can select one of their new patterns HERE. As a busy mom that worries about everyone else’s needs, it is nice to have a cute and useful product that is just for me!